Note: This setting can only be accessed by a Site Administrator. The exclamation/bell icon next to a child's profile photo (seen below) is there to serve as a reminder that the child's learning stories have not been updated in a while.  By default this icon will appear 14 days after the most recent learning story has been published. You can change this time-frame or turn it off completely by following the steps below. Note to staff: Any stories that are published as "Day Journals" will not remove this icon from a child's profile. You can find out more about Day Journals here. 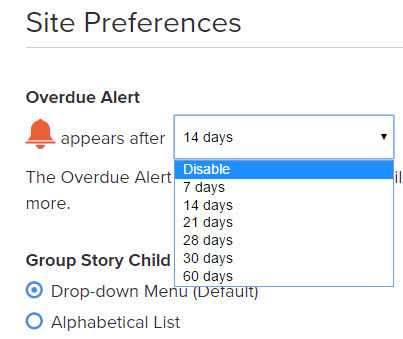 You can then scroll down to the Site Preferences sub-category where you will see the Overdue Alert setting. 4: Under the heading Overdue Alert you will see the amount of days it's currently set to. Click that number for a menu to appear as shown below, where you can select a different number, or disable them altogether. Once you have selected an option by clicking on it, your settings will be updated and saved automatically.